Just pop in… We would love to see you! McGranaghan Mortgages.com offer advice to all our clients in assessing your mortgage & insurance requirements. We deal with the comprehensive range of mortgage providers and life assurance companies in order to obtain the mortgage and protection that best suits your needs. In our capacity as mortgage advisors we deal with a large variety of different clients, as such we have the experience to deal with the more unusual situations that require more in depth knowledge. We have the facilities and offices to be able to provide you with a tailored service, so if you prefer to deal with an advisor on a one to one basis, over the phone or even via e-mail we can accommodate you. At McGranaghan Mortgages.com we pride ourselves on service and we will ensure that we deal with your enquiries quickly and efficiently. 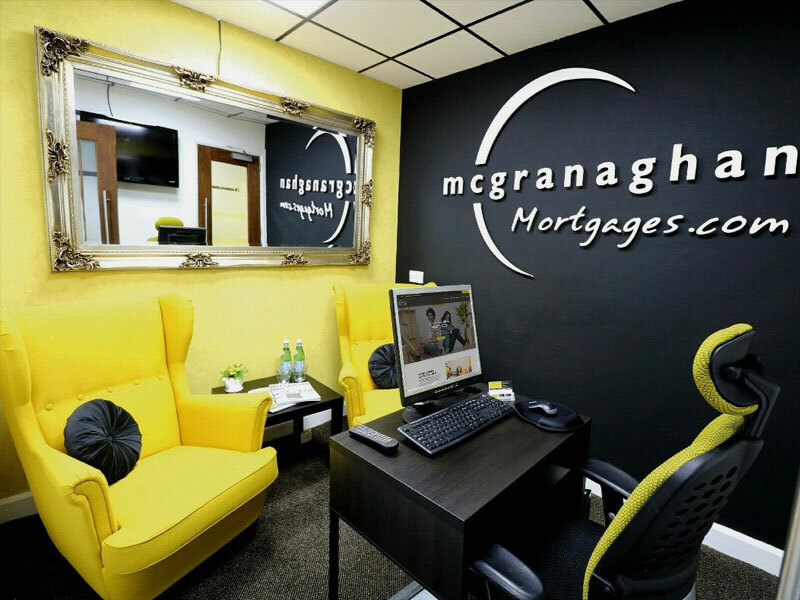 With four mortgage offices conveniently situated in the greater Belfast area, there should be no excuse to pop in to one of our hi-tech mortgage offices for some expert mortgage advice. Just pop in… We would love to hear from you! Your email has been sent to us and a member of our team will get back to you as soon as they can. Our advisors search for the most suitable mortgage & insurance deals, that are available. Fill in your details and a member of our team will get back to you as soon as we can. This firm does not charge a fee for mortgage advice. McGranaghan Mortgages.com is an appointed representative of PRIMIS Mortgage Network (PRIMIS), a trading name of First Complete Limited which is authorised and regulated by the Financial Conduct Authority. PRIMIS is only responsible for the service and quality of advice provided to you in relation to mortgages, protection insurance and general insurance products. Any other product or service offered by McGranaghan Mortgages.com may not be the responsibility of PRIMIS and may also not be subject to regulation by the Financial Conduct Authority. The guidance and/or advice contained within this website is subject to the UK regulatory regime and is therefore primarily targeted at consumers based in the UK.